Are you looking for a reliable and fast towing service in Grand Rapids, MI? ​​If so, you are definitely at the right place since our company is the leading towing company in the area. Swift towing will come to the rescue faster than anybody else and for a reasonable price that most local residents can afford. We supply the fastest tow truck service in Grand Rapids, Michigan. We have over 20 years experience in the emergency towing service industry and we are still learning today. We have adopted the latest technologies to be even more accurate and precise. We are focused on making our name synonymous with fast response time and a high level of customer service. Our operators are trained to handle any type of situation and service request. They will dispatch a rescue team as quickly as possible to help you, especially if you are stranded in the middle of nowhere at night. This scenario might sound like it comes straight from a horror movie but it happens too often and can cause panic and deep anxiety among our customers. It is our belief that having a strong work ethic and a great crew can put a business ahead of its competition at the end of the day. Our staff is composed of experienced drivers and professionals with decades of experience serving the public and finding themselves in all types of emergency and non-emergency situations. The towing service we provide can be reached 24 hours a day, seven days a week. Our fleet consists of 4 trucks, including a flatbed and several light/medium duty towing capable rigs, which are all maintained on a regular schedule. ​We are passionate about helping the community in emergencies. Everyone knows that feeling, what it’s like to be stranded on the side of the road. It’s an uncomfortable situation and can even be a dangerous problem if your car or truck has broken down on the highway. •We love to help solve problems, and our crew is very good at providing roadside assistance such as tire changing, gasoline delivery. •We hire and train the best road service technicians. Our drivers go through rigorous testing to ensure they handle clients in a professional manner. They are drug screened and vision tested regularly. With the right equipment at their disposal, they are motivated to provide quick service and to get you back on the road. •Our staff is personable and results-oriented. If it’s possibly a quick fix, such as a dead battery, various mechanical issues, or a flat tire, we’ll do our best to get your vehicle in safe operating condition! •Our roots are local. We bring forth a team full of Grand Rapids natives, from different corners of this beautiful city. How does this benefit the customer? It helps us in pinpointing your location and desired destination, this way we can work with our drivers who might be in your location. •This leads to faster car transportation times. It also means that we are familiar with the smiling faces in our community, and make it that much easier to deliver quality customer service. In other words, if you are looking for a local, reliable, professional and trendily towing service in Grand Rapids, MI or closely, you know who to call. Our number is 616-414-3083 and we work around the clock to help you and make sure you are safe. Whether it’s 4 am or 4 pm, you will always find somebody to provide you with professional towing assistance. Michigan winters cause vehicle issues! It’s no secret that Michigan winters wreak havoc on vehicle automotive systems. The cold weather and salt covered roads create a wide variety of problems for Michigan drivers every winter season. Cold temperatures cause your vehicle’s fluids to thicken, the same way that a bottle of syrup does in the refrigerator. People are often in a rush when heading into work and forget the importance of warming their vehicle up in order to warm the transmission, oil, and antifreeze fluids. This also helps to provide less wear and tear on your internal seals. Cold temperatures even affect your tires. When temperatures drop, the tire pressure inside your car tires drops as well. This creates a scenario where tire lifespan is shortened by uneven wear, and in some instances even tire blowout. Make an effort to monitor your tire pressure weekly, at a minimum. It often can lead to flat tires if you don't check tire pressure regularly. When roads get covered with snow, it will help drivers to have the recommended tire pressure in all four wheels of their car or truck. Don’t overlook the small things. And as we often tell our customers: vehicle maintenance on a regular basis can help you anticipate most accidents and technical failures. Book a mechanical checkup now and make sure your car is working perfectly fine before driving next time. Batteries also take a beating in the winter. This brings in a majority of our emergency towing calls. It’s easy to want to save money and purchase a battery with a less than adequate cold cranking amps, and we advise against this. The cold cranking amps necessary are dependent on the temperature of where you live and the type of vehicle you drive. Don't get stranded with a dead battery! Grand Rapids, Michigan is no stranger to colder than average winter temperatures. On those cold, snowy days, the lower the temperature the more power is necessary to start your car engine. At Swift towing, we know how cold the weather can get and we know all the tricks to restart your engine in a short amount of time. If it’s been a few years since you last purchased a new battery, you may want to stop into your local auto parts store to get your battery tested. It makes more sense to purchase a new battery ahead of time, rather than wait until it’s too late and you’re stranded several miles away from home. ​At Swift Towing, we have grown to offer a broad range of automotive services. Our specialty is our vehicle towing service, but that doesn’t mean that we can’t handle it all. If you find yourself in a parking lot or on the side of the road with car breakdown issues, give us a call. We’re more than happy to come out and help with flat tire replacement, accident salvage, car lockout, car and truck transport, car scrapping, dead battery jumpstarts and minor mechanical issues. Most issues are generally benign and you would be surprised to know how many people run out of gas on the side of the road. In this case, we simply deliver some fuel and you can be on your way again in no time. Give us a call if you need any of the above services. This list is not exhaustive and if you happen to require any type of related service, we will try our best to accommodate your request. 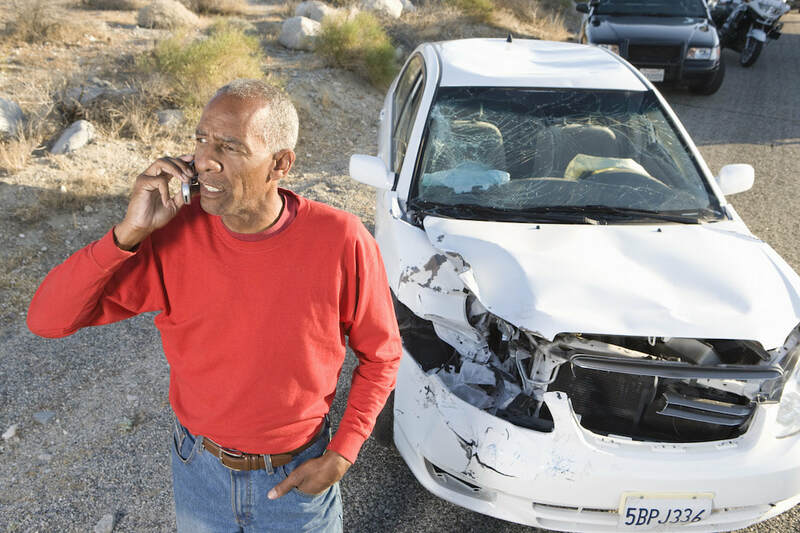 Finding the right tow truck company can save you considerable time and effort. Well-equipped, well-trained and with a can-do attitude, our team is here to minimize the damages caused to your vehicle and save the day if you are running on a tight schedule. Let us come to the rescue and tow your vehicle to a safe place where it will be repaired. Whenever possible, we try to repair the vehicle on the spot to make things even easier for you. Any type of vehicle can be repaired, motorcycle and boat towing are also possible. Pick the right tow truck assistance for your needs today and kiss all your worries goodbye. A car breakdown is already a stressful enough situation without having to add other problems on top of it. Call us now at 616-414-3083 and speak to an expert to get the help and advice you need when facing an emergency. At Swift Towing, towing is our job and our passion, we love what we do and we are here to provide the local community with quality jobs for the people who qualify as well as above average towing services that can make a true difference in people’s lives.